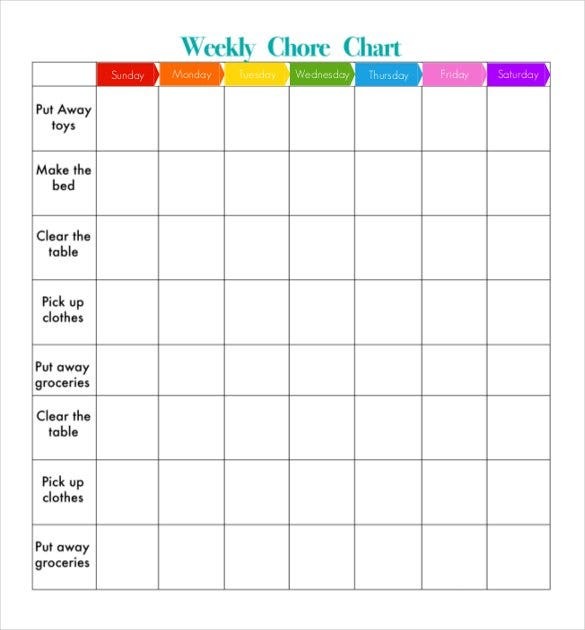 A weekly chore chart is a very useful aide to ensure an organized house. 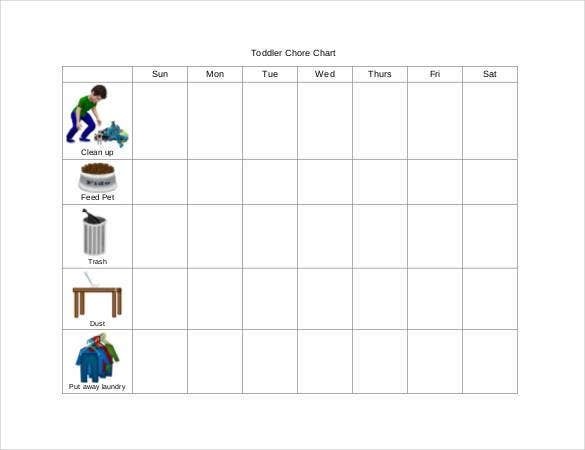 Such a Chart Templates will allow you to classify the needed tasks to be completed each day of the week. 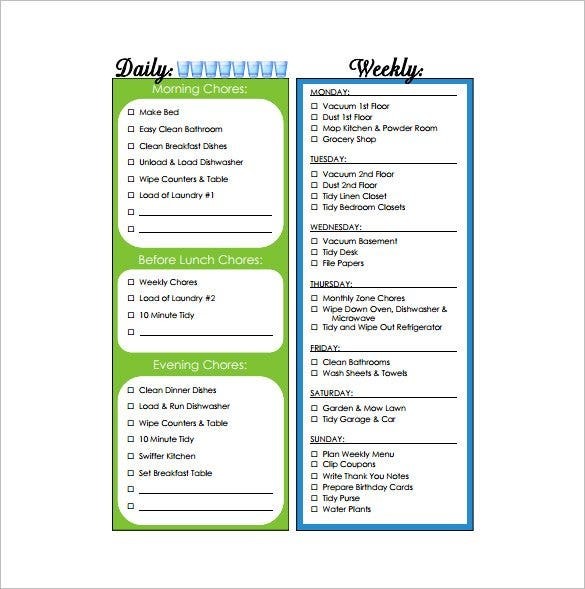 The rule of the thumb is to include one large and one small task every day- you should also mention the special events to be attended, if any. 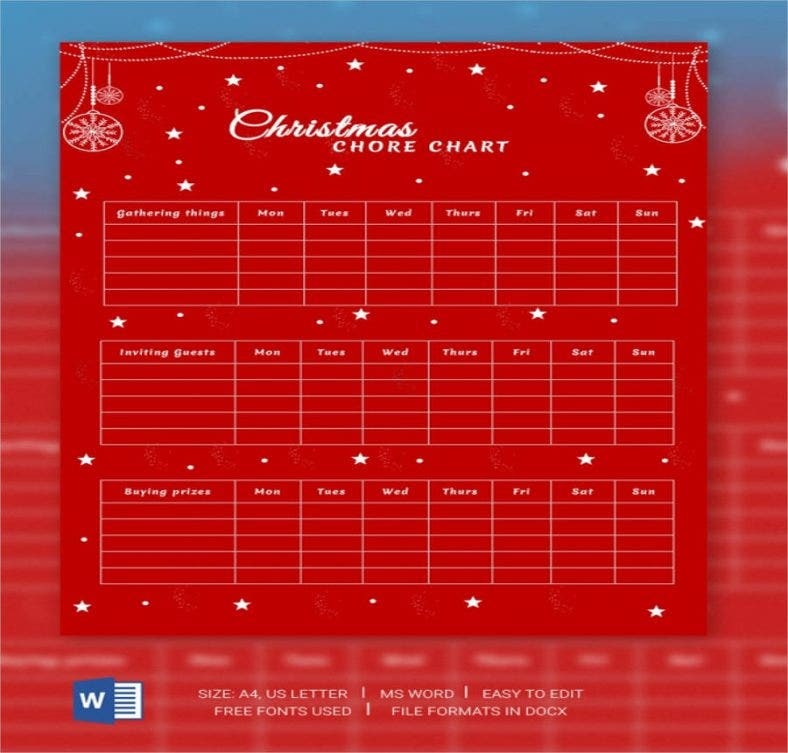 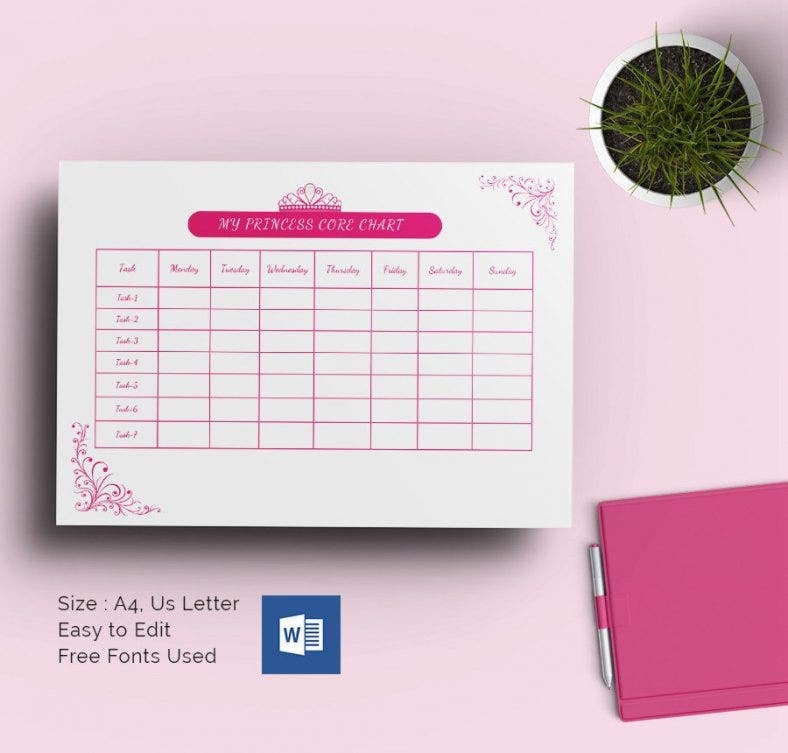 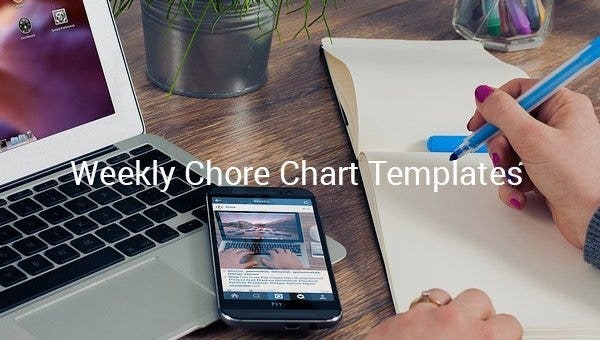 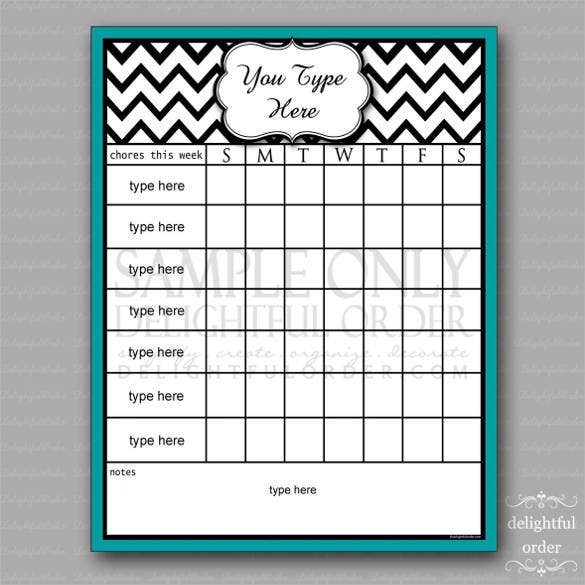 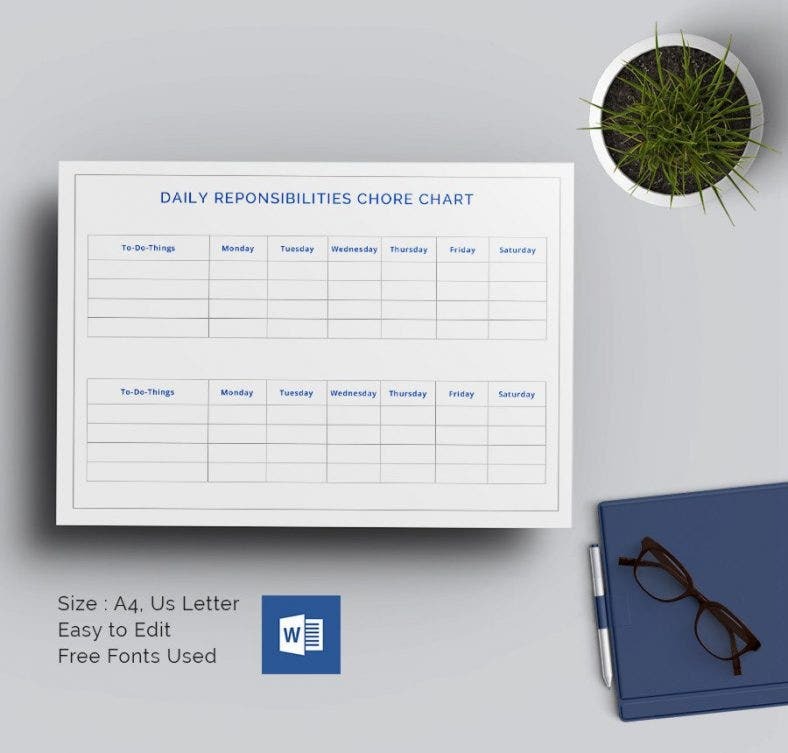 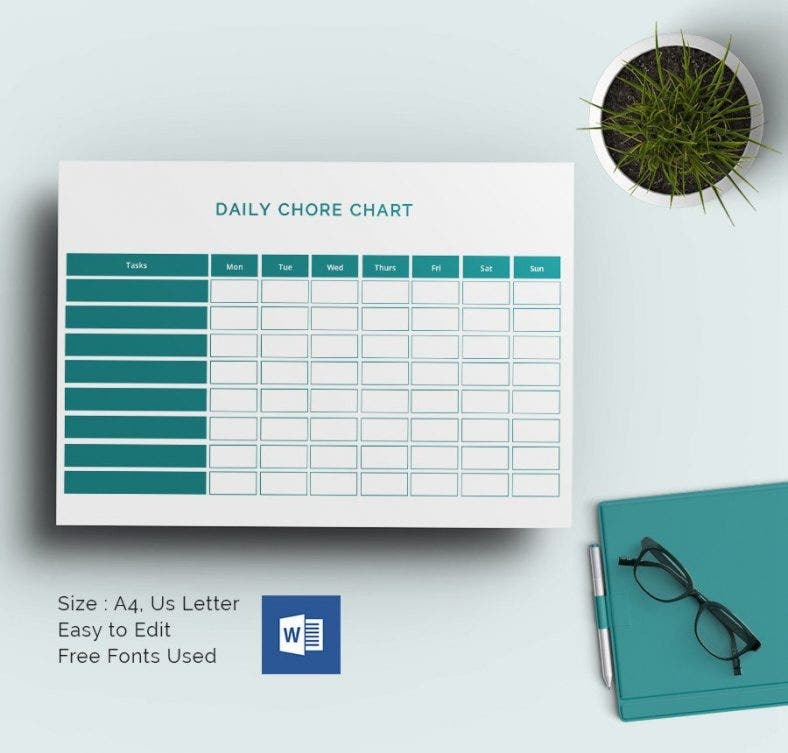 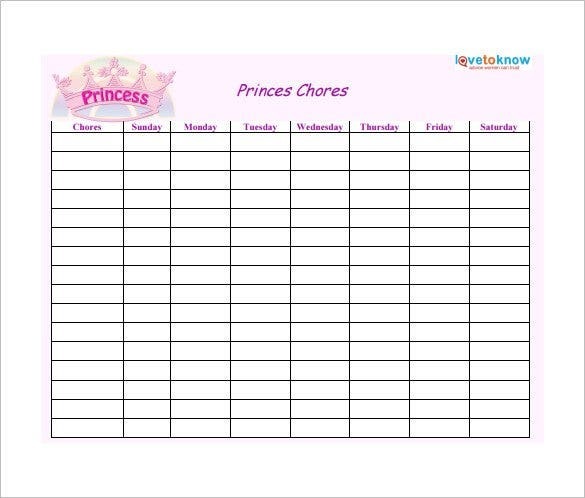 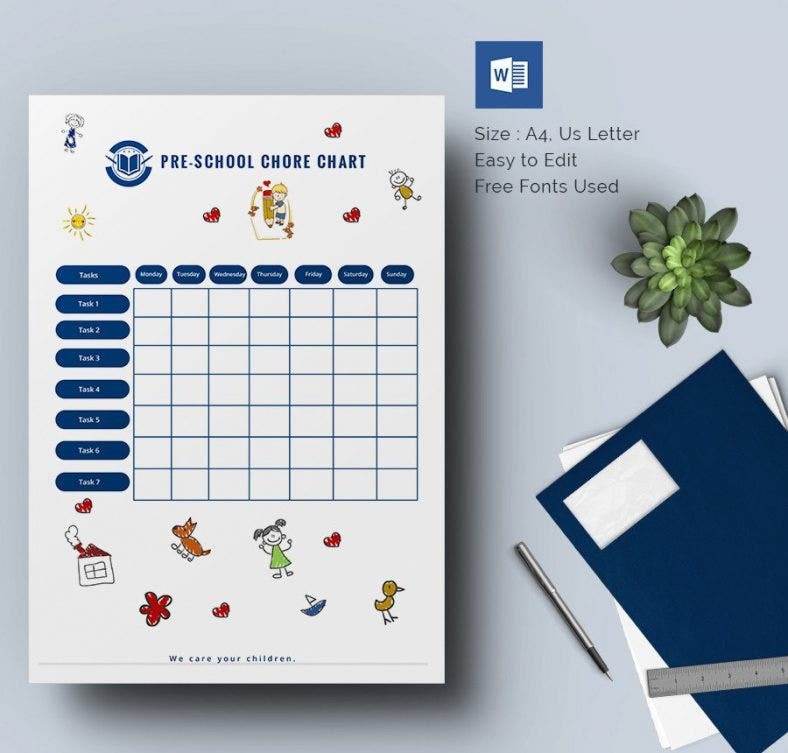 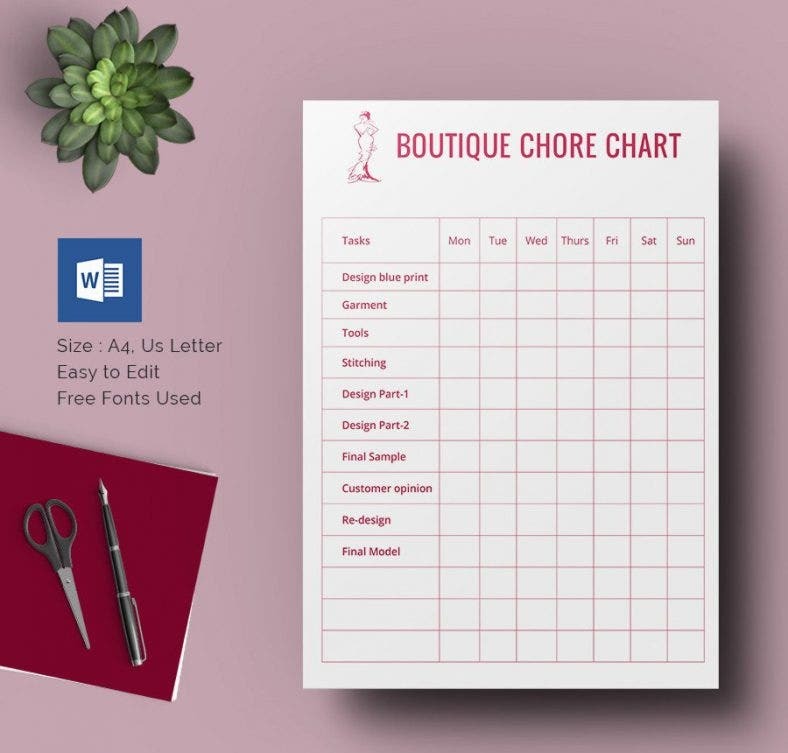 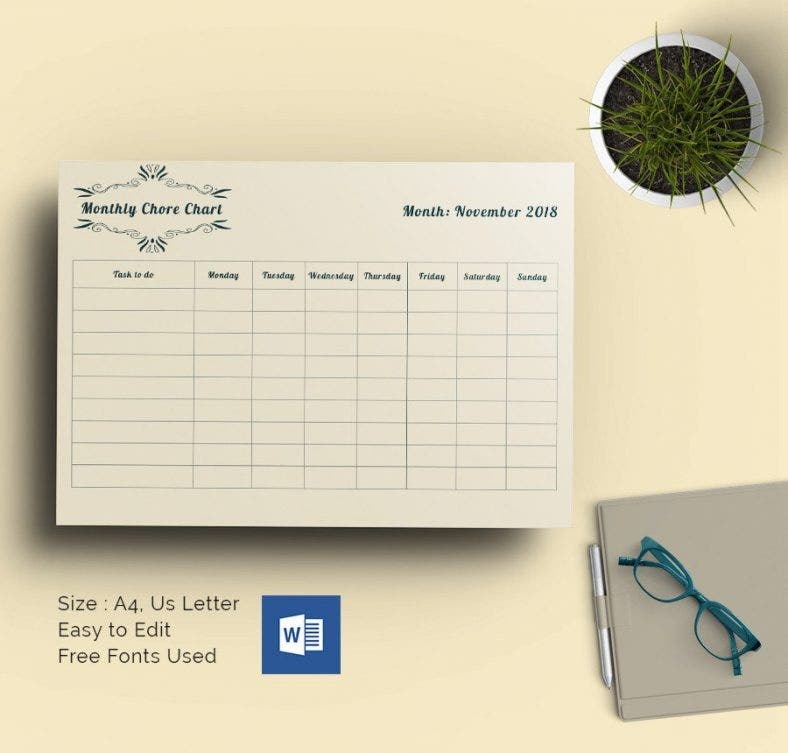 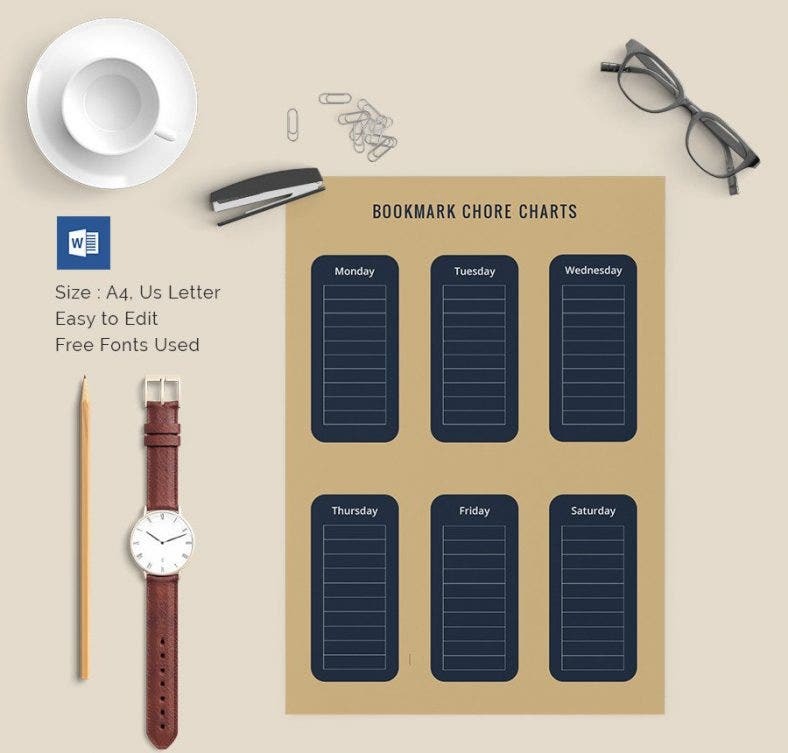 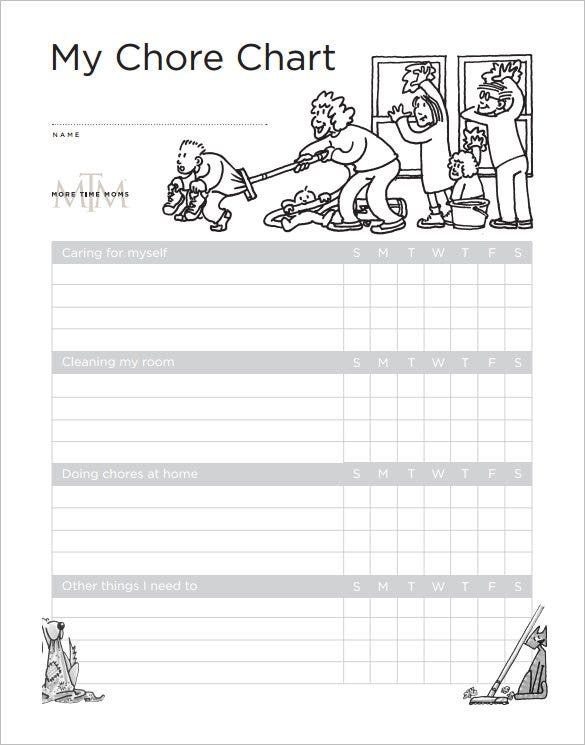 Free Download A weekly chore chart template Word helps you to keep track of the assignments to be completed everyday. 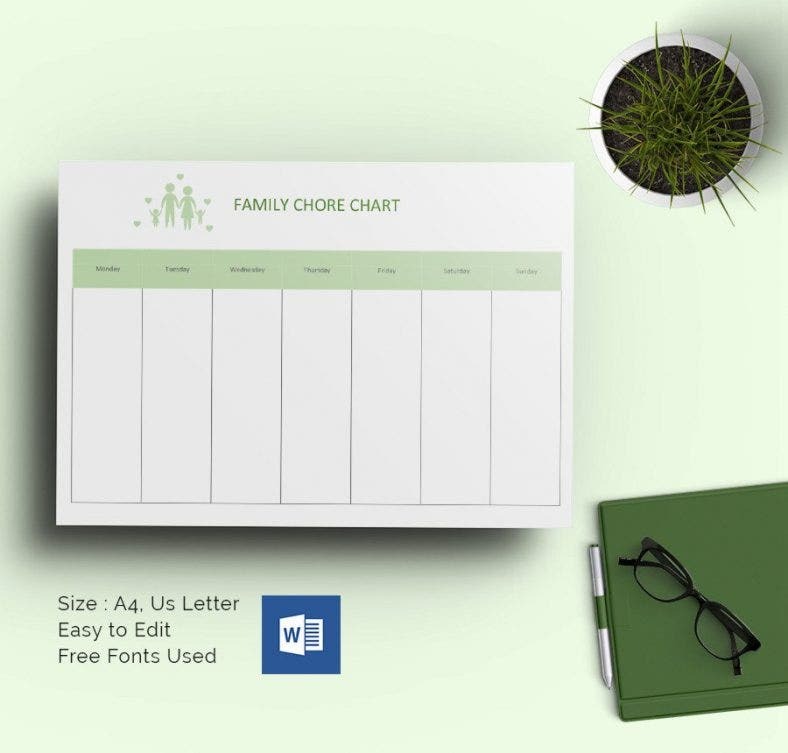 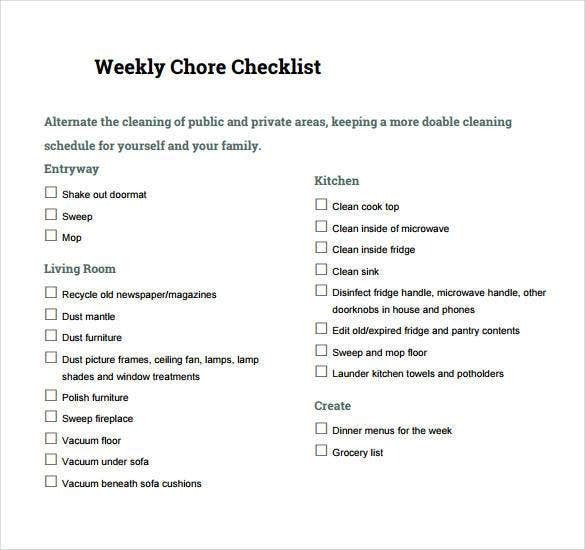 In most of the cases, the Family Chore Chart Templates contain check boxes beside every task so that you can tick them yes or no according to your performance. 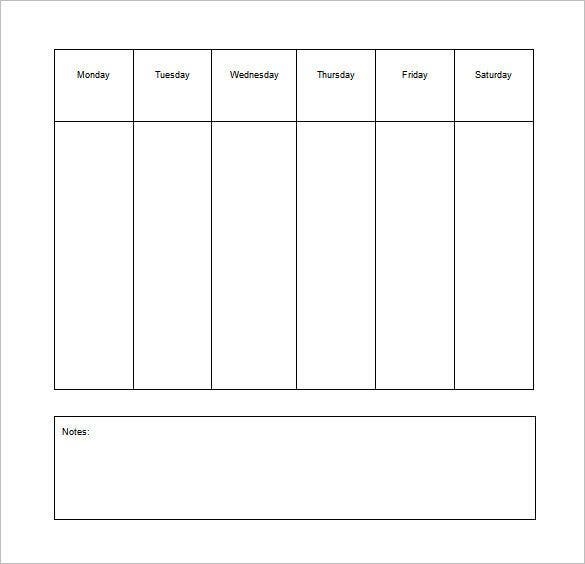 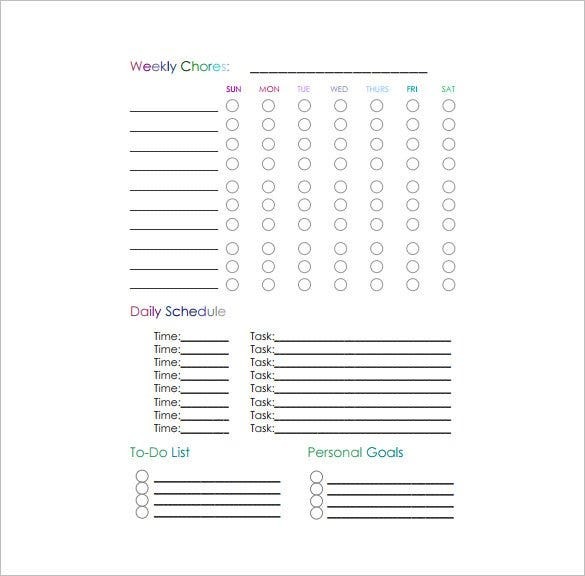 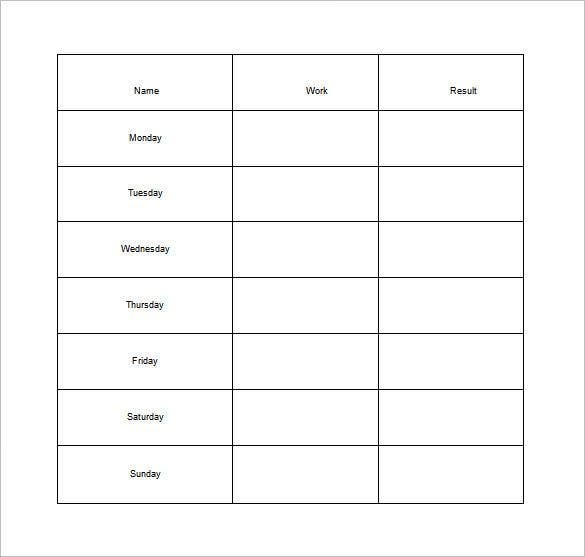 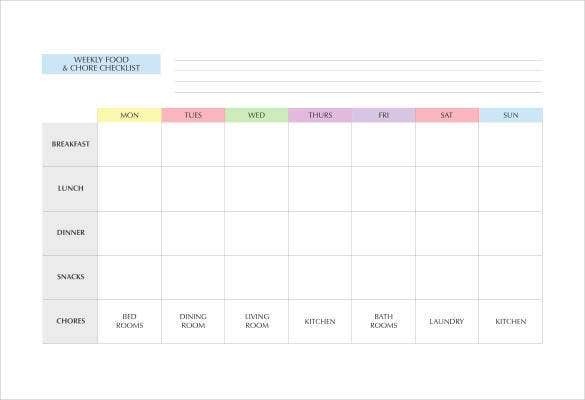 frugalliving.about.com | The weekly chore chart is a simple and well spaced chart that provides ample space to write the chores in each of boxes denoting each day. 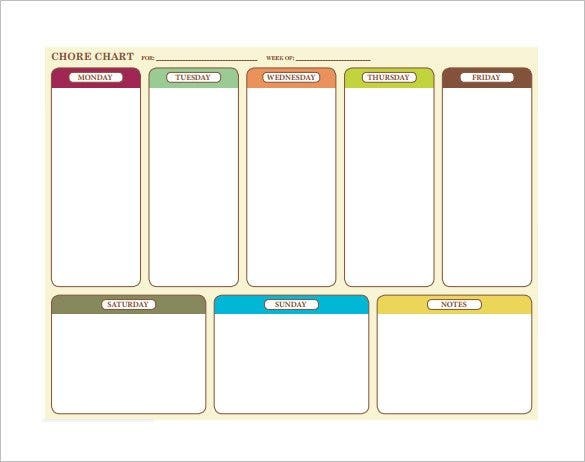 It also contains an extra box called notes which stores extra data. 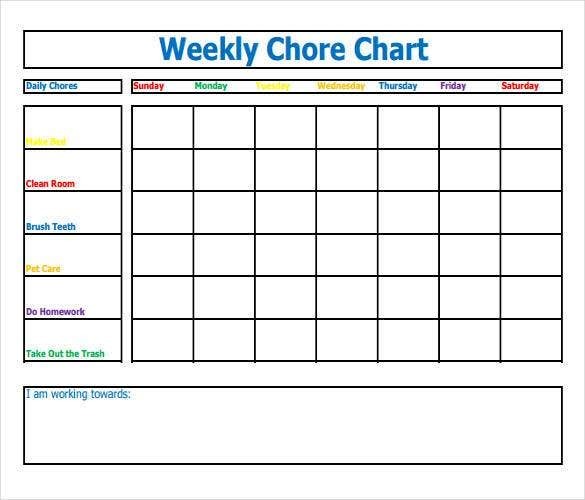 The blank weekly chore chart is weekly chart that uses a table. 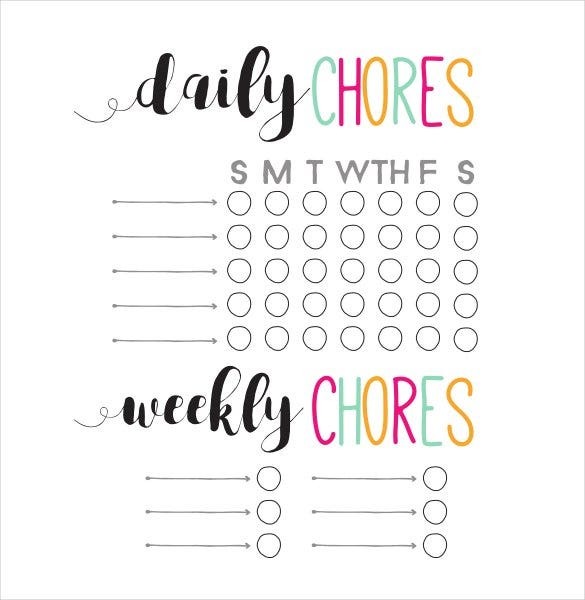 Each column of the table denotes each day of the week and the daily chores are to be written in each row for each day. 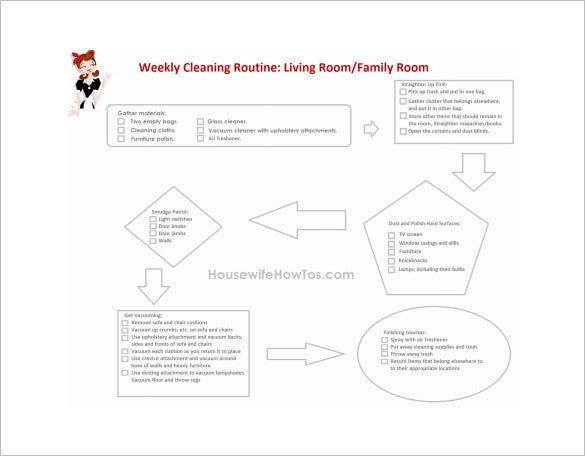 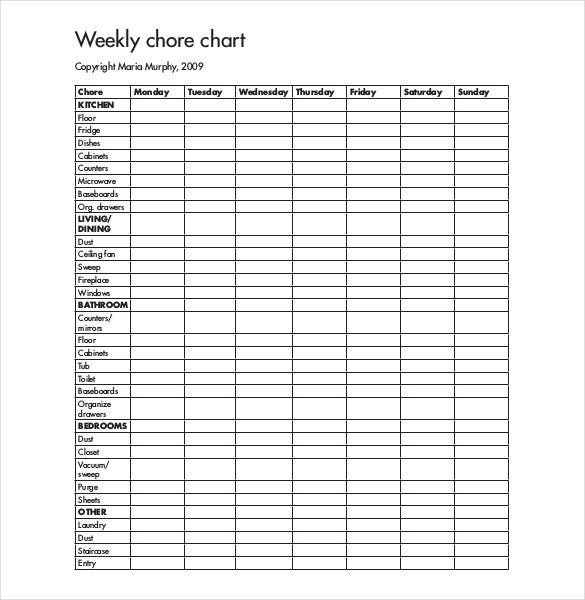 organizinghomelife.com | The household weekly chore chart is a simple but intuitive chart that can be used for a week. 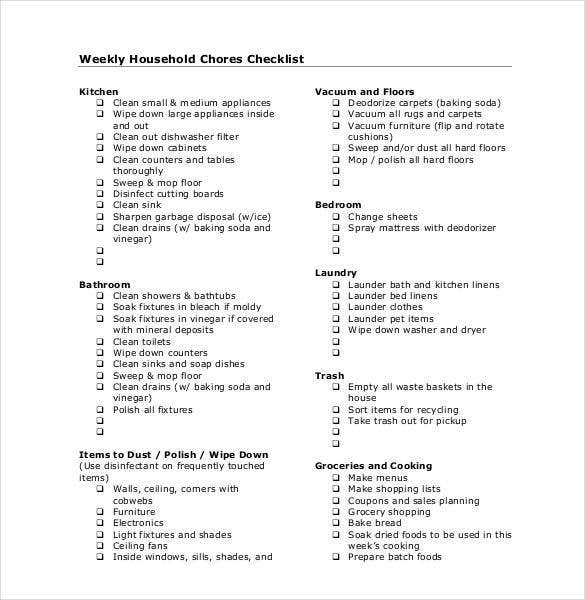 It contains two columns one for daily chores and one for weekly chores. 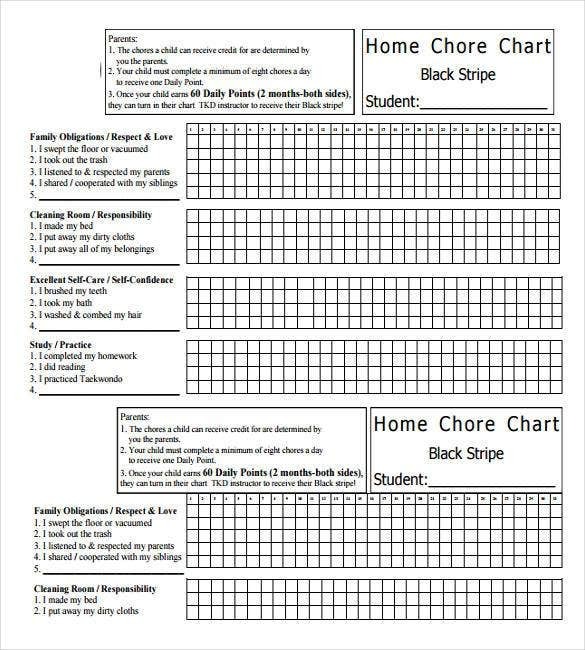 housewifehowtos.com | This house cleaning weekly chart has listed the number of chores to be completed while cleaning the house. 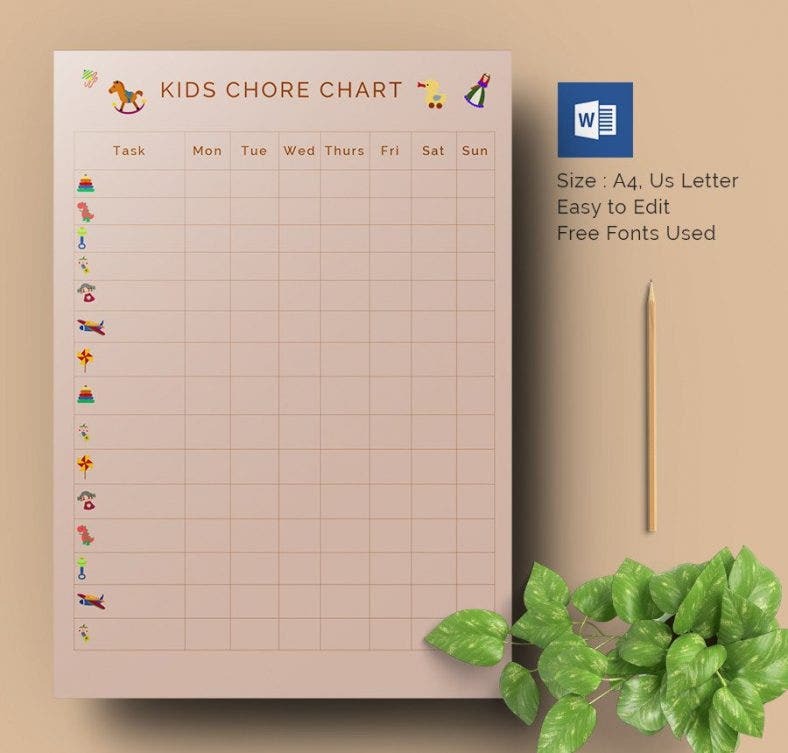 Arrows have been placed to show the succession of each of the list of chores. 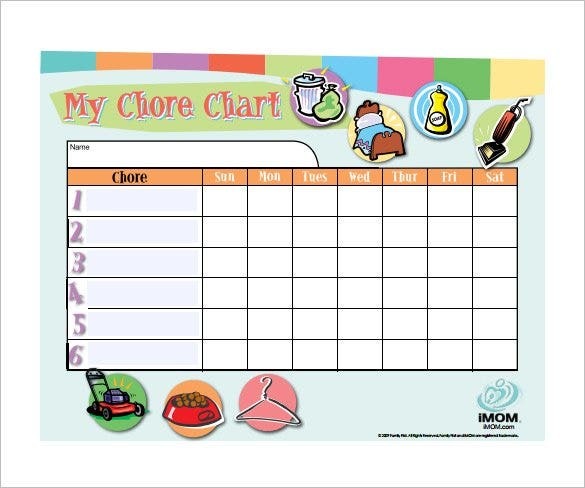 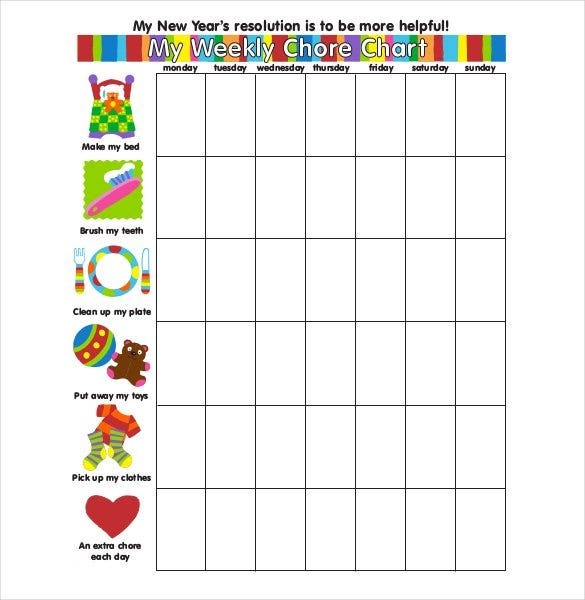 imom.com | The customizable weekly chore chart is a colorful chart that will appeal to the kids. 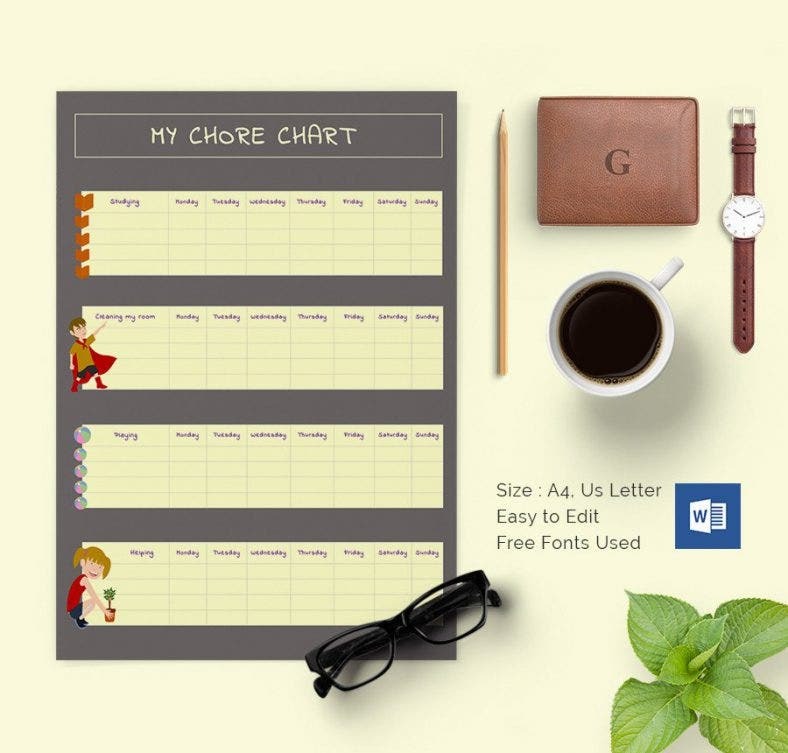 A weekly chart that can store up to six daily chores that is required to be completed every day.